The AX4 Engineered FJ Cruiser Dash Phone Mount is compatible for use with all smartphones. STEP 1: With a Phillips screwdriver, remove the screw located at the bottom of the right side end trimming that runs from the bottom, to the top of the dash. Tilt out end piece from the bottom, and pull up and out to release a total of 3 clips, with 2 clips at the top. STEP 2: Remove 1 Phillips screw from right or left of the radio bezel. Place the bottom housing of the dash phone mount over the screw hole. Reinsert the previously removed screw and tighten to lock the mount into place. 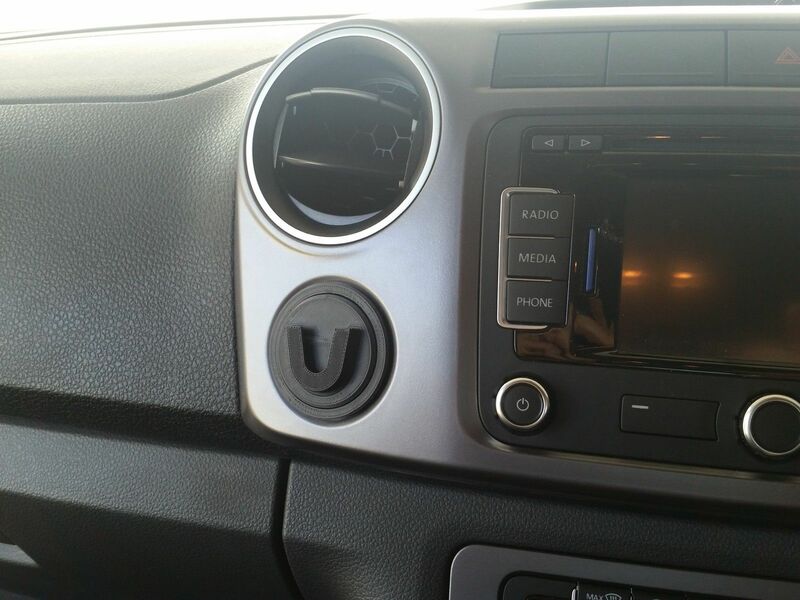 While tightening the screw, make sure the phone mount is flush with the radio bezel. STEP 3: Fit the side trimming back into place and reinsert the removed screw from the bottom of the part. Finally, clip in the top section of the phone mount. The AX4 Engineered Recovery Folding Shovel is lightweight and highly portable folding in two places for compact storage.